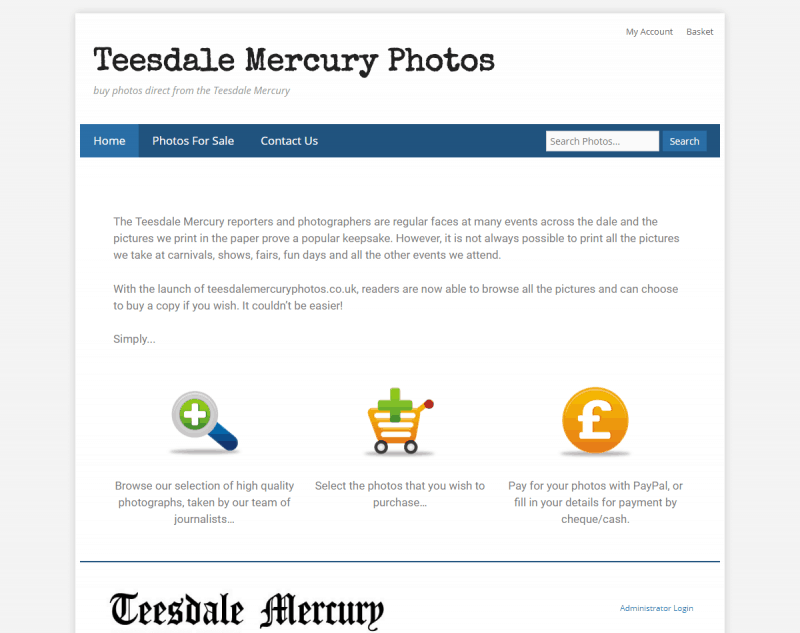 The Teesdale Mercury newspaper required a website that would allow them to sell copies of the photographs that the newspaper produced to the public. This online store allows customers to order photos to be sent to them through the post, to pick up from the office or to download a digital copy. All of the displayed photos were watermarked to prevent unscrupulous customers from downloading the images directly from the website.